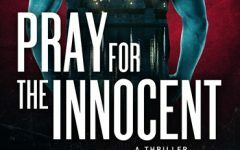 Chris Malburg is a writer who wants to get things right. 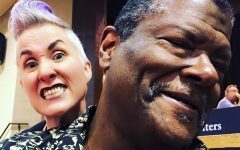 Sure, it’s not unusual for a good thriller writer to head to the local library, spend some time with Professor Google, or visit a locale that he’s thinking of using as a setting. But how many would enroll in classes at the University of Southern California to learn the finer points of air disaster investigation? Malburg would—and did—learning alongside experts from a host of “alphabet” government agencies such as the FAA and FBI. The final exam, by the way, involved heading out to a hangar to determine why three different planes went down. 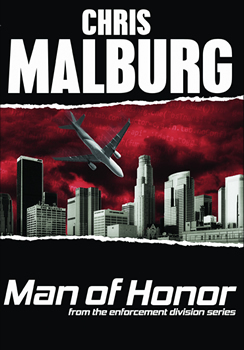 That hard work has paid off in Malburg’s fourth Enforcement Division novel, MAN OF HONOR. American planes are crashing thanks to Chinese cyber terrorism, and it’s up to NTSB investigators to help stop them. The result of Malburg’s research is a novel that rings true in every detail. Malburg wasn’t always a writer. He began his career as a CPA and investment banker. Success in that field enabled him to pursue his dream to be a writer, and he enrolled in classes to improve his skills. However, Malburg is a natural storyteller and wanted to try his hand at fiction. Once he had the ideas for the Enforcement Division series, his approach to research was academic. After talking with experts at the nearby USC Viterbi School of Engineering, he took things one step further. “They took all sorts of time with me. I actually enrolled in the school. From them, I learned how (crash investigation) was properly done,” he says. USC has its own wreckage, stored away in a hangar. As part of the class, students had to determine why three different planes crashed. The first case took two weeks to figure out, the second took two days, and with the students developing keen eyes, the last plane crash took ten minutes to decipher. Much of the wreckage was mangled and burned. What appeared to be rust stains, upon closer inspection, were more gruesome remnants of the air disasters that made them all-too-real in Malburg’s writer’s mind. He also learned that being an investigator means always being on call, and at times, putting others before oneself and one’s family. When it comes to writing, that bell rings for Malburg early each morning because he maintains a disciplined schedule. He’s up at 4 a.m. and works out, then by 6 a.m. is usually in his office, where he works all day. He generally sets daily production goals and works to meet them. He explains that his approach to projects is to work backwards from the deadline in order to create his writing schedule. Writers also need to be good observers and listeners. More than once, Malburg says, he’s been talking to someone when they stopped and said, “Are you going to use this in one of your books?” Malburg notes that he’s not interested in quoting them so much as he gets caught up in their cadences, speech patterns, and language. It’s these things that might end up in a book, coming out of a character’s mouth. “I’m interested in how they talk, rather than what they are saying,” he says. Writing is not his only outlet. Malburg and his wife, Marilyn, raise service dogs for the disabled as volunteers for Guide Dogs For The Blind and Canine Companions For Independence. In the last 12 years, they have raised nine dogs, starting when the puppies are nine weeks old. Eighteen months later, the dogs go back to the organizations to complete training. During that year and a half, the couple works to socialize the dogs and teach them basic commands. But not every dog makes the final cut as a service dog, Malburg notes. 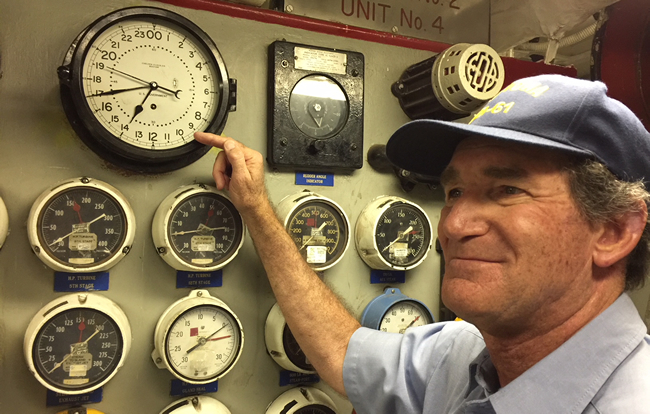 Malburg also volunteers as a content expert—a tour guide—at the USS Iowa museum several hours each week. He says that he enjoys the shift away from his writing job. Lately, he’s been branching out into writing articles about luxury watches, and would like to expand that to other luxury goods. No surprise there—this is clearly a writer who loves to learn, and who wants to get the details just right. 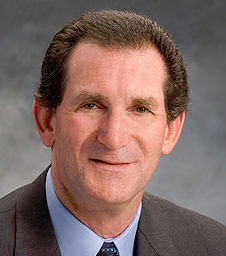 Chris Malburg is a widely published author, with over 4 million words published in 22 popular business books and four novels. Simon & Schuster, Putnam, Wiley and McGraw Hill all publish Chris’ work, which is consumed in most western countries. After classes at Stanford Writers School, Chris began the fun side of his career. He has crossed the chasm into fiction with the fourth installment in his Enforcement Division series. Chris is known for his meticulous research of the material presented in his books. MAN OF HONOR is an example. While preparing this book, Chris took the same aircraft accident investigation courses at USC’s Viterbi School of Engineering that the NTSB and FAA accident investigators take.